ORTOVOX stands for protection. 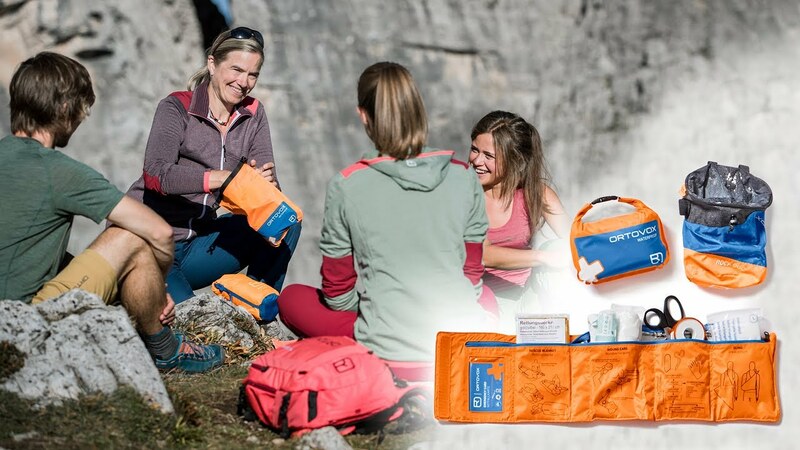 Since ORTOVOX was founded in 1980 we have been developing emergency products – characterized by our alpine origins. The correct equipment is essential in both summer and winter, and can save lives in the event of an emergency. To this end, the FIRST AID MINI adds a little mountain pharmacy to your basic equipment and provides immediate aid for injuries large and small. From the wound compress, the triangular sling over a gauze bandage or a roll of bandage tape to a plaster set, disposable vinyl gloves and a small pair of scissors – you will find all the basic equipment for an emergency in the FIRST AID MINI. The first aid kit can be fastened simply and easily thanks to belt loop – even to the outside of your backpack. The simple partitioning inside and the complete fold-out interior also provide you with quick and easy access to all emergency tools.